Kolkata Zoo or Alipore Zoo as it sometimes called is one of the major tourist’s attractions of Kolkata. 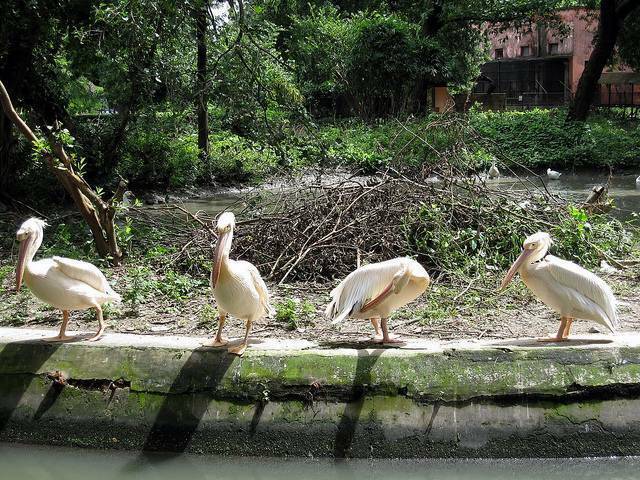 Covering approximately 45 acres of land, Alipore zoo houses many species of animals. Bengal White Tiger, African Lion, One horned Indian Rhinoceros etc are most striking attractions of the zoo. The zoo is most frequented in winter season. Apart from animals, the zoo also houses rare bird species like giant parrot, Golden Pheasant, Lorikeets etc The Aldabra Giant Tortoise of Alipore Zoo which died in 2006, was 250 years old at that time. Manipur brow- antlered Deer are also bred in the Alipore Zoo.